On #toasttuesday we like to keep things simple. 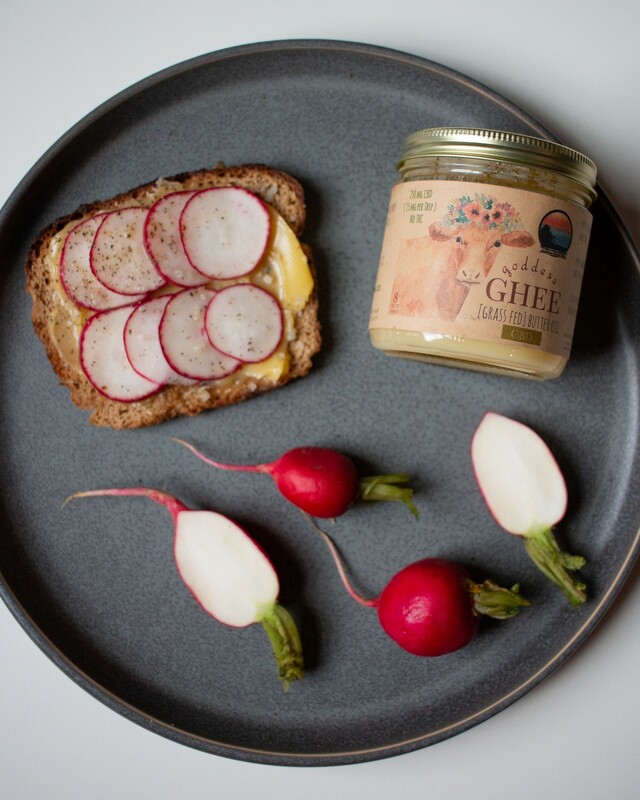 This toast features sprouted grain whole wheat bread, topped with our @cbdsuperfood x @goddess.ghee Ghee and slices of local radish. The sharp flavor of radish softens when combined with the buttery, caramel flavor of our ghee. Topped on some crispy toast, each bite holds the perfect crunch! Spread ghee onto toasted bread. Line sliced radishes until completely covered. Sprinkle with Celtic Sea Salt and pepper. Take a bite and enjoy the crunch!